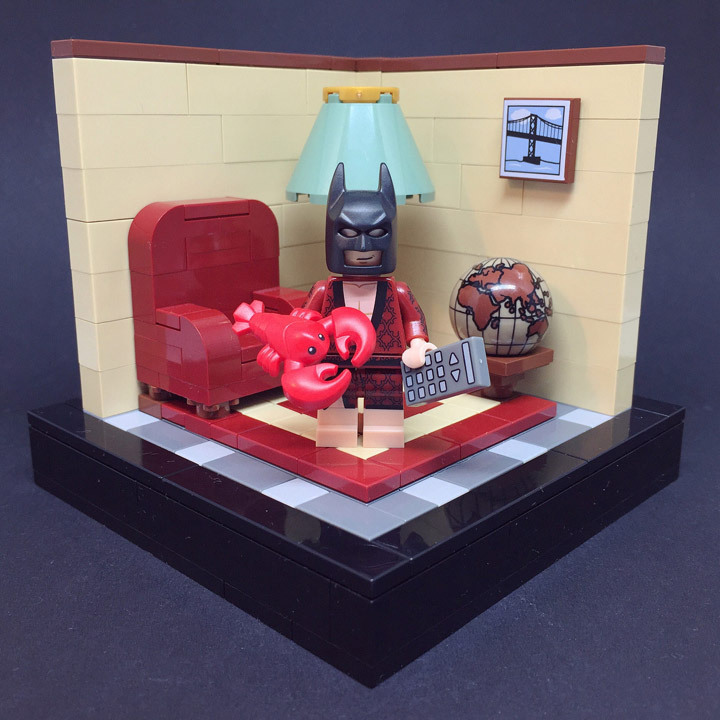 Check out these great Minifigures Displays for the Lego Batman Movie Collectible Minifigures. All of these are the work of Sebastian Bachórzewski, who has done a whole series for these Minifigs. Because of their small part count these types of displays, or vignettes, are easy to build. As long as you have the design, and inspiration needed to pull them off well. Here we have Commissioner Gordon, Glam Metal Batman, Harley Quinn, Leisure Batman, and the Joker. 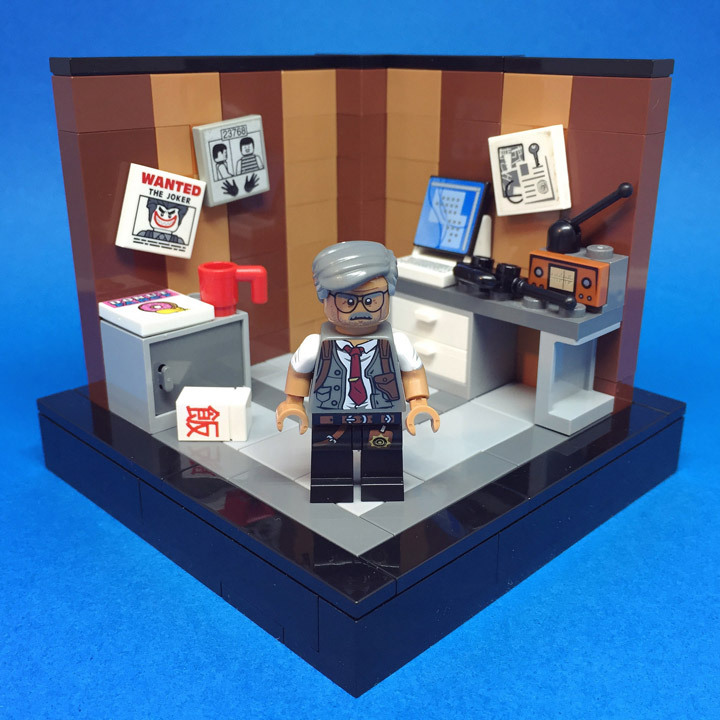 All of these little displays are great at complimenting each Minifigure. Helping to create a story for your shelves. 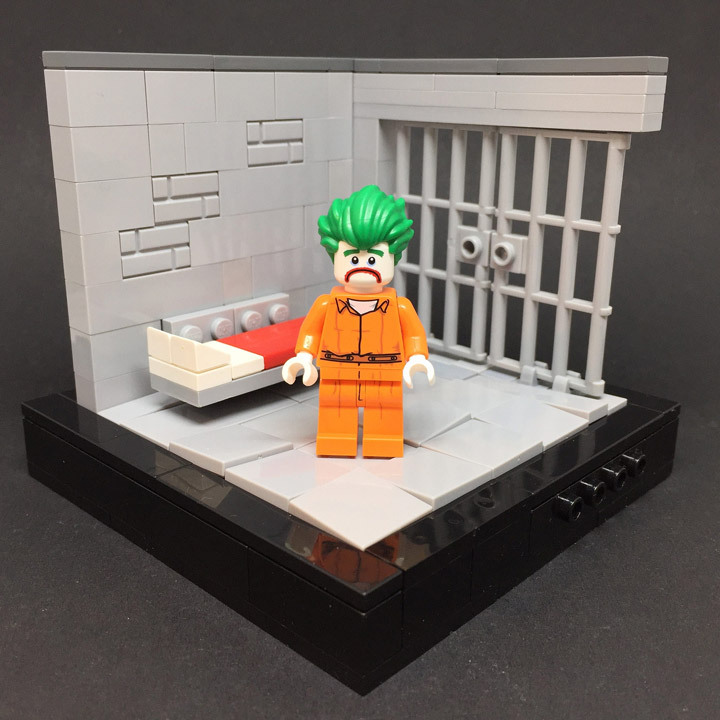 Gordon looks like he is on the hunt for the Joker, which should be easy as he is already in jail. 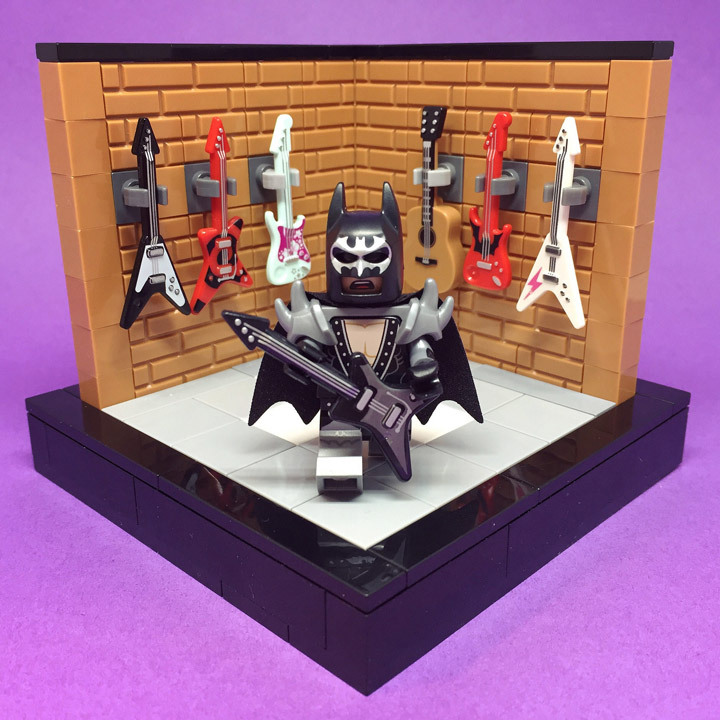 Glam Metal Batman shows off a (complete?) collection of printed guitars, which are hard to find. 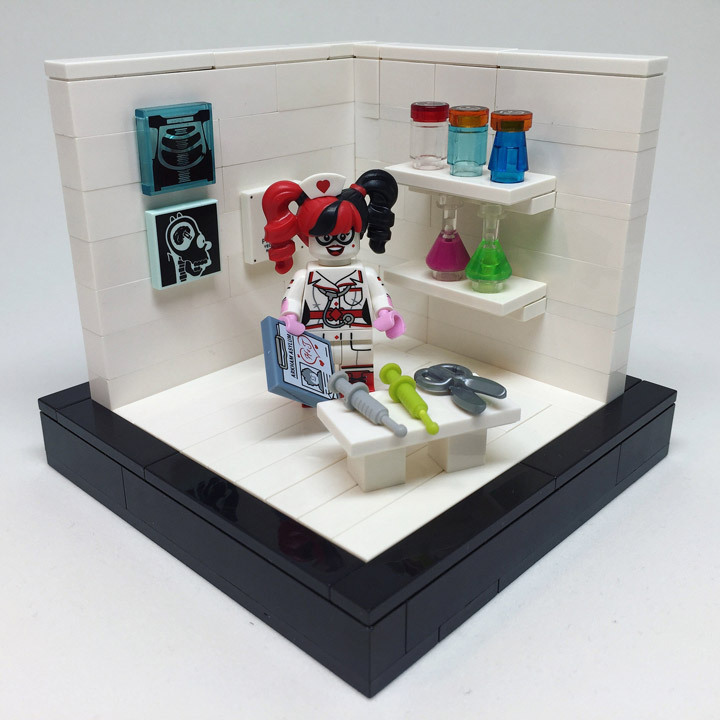 And, Harley is getting ready to do some doctor stuff.